Are you looking for wireless CCTV cameras to protect your home or business? 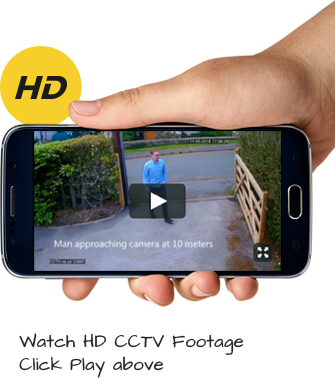 More and more people are opting for wireless cameras and it is easy to see why. Offering easy installation, remote access and visually looking more tidy thanks to the lack or wiring, they are the obvious choice for many people when choosing their CCTV cameras. However, as good as wireless CCTV cameras are, they may not be suitable in a small number of circumstances. Easy Installation: This Is the big advantage of these types of camera. Because you do not need to run an ethernet cable from the back of the camera. That means you simply need to run a power cable to the camera which is easy to do, especially if you have security lights or other cameras already up there. Check out Power Over Ethernet (PoE) cameras too as these just require an ethernet cable (no power needed) and offer all of the advantages of a hard wired cameras with less cabling. Easy to Connect to Network: Once you have your wireless CCTV cameras installed, it’s an easy job to connect them to you network. Previously it could be a bit of a drawn out and complicated process but these days things are much easier. Most manufacturers now offer mobile apps and easy instruction that let you connect them to your network in a matter of minutes. Only As Reliable As Your WiFi: Wireless HD CCTV cameras are great if you have reliable WiFi. However, if not, you may want to look at a wired system. That is because as soon as your WiFi goes down, so does your wireless CCTV system. So if you have a dodgy router, a poor connection or are unfortunate to live in an area where the WiFi packages on offer are not really that reliable, you may wish to discount wireless CCTV cameras. You May Have to Upgrade Your Broadband: Like we mentioned earlier, your wireless CCTV cameras are only as good as your WiFi connection which means that if you have your heart set on a wireless system. This means that you may need to upgrade your broadband or change providers and this will almost certainly involve an extra cost. How Easy Are They To Use? Ideally you want the easiest to use system as this will mean you can maximise its use and effectiveness easily. Some cheaper wireless CCTV cameras can be so because they are not the easiest to install or use with poorly designed software. Look instead for cameras that offer easy set-up capabilities maybe through an app. Not only will this save you a lot of hassle, it will save you a lot of time too. Design and All Weather Capabilities: Make sure your camera is suitable to be used outdoor if you are going to be mounting it outdoors. There are various type available from bullet cams to dome cameras so check out which will be the best for your particular circumstances. Finally, ensure that they are IP66 rated as this is the certification that ensures they are OK to be used outdoors in the UK. WiFi Capabilities: Ensure that your cameras are future proof by making sure they are compliant with the later WiFi standards 802.11n or even 802.11ac. This will ensure that your wireless CCTV cameras are as future proof as they can be. If you are looking for to have wireless CCTV cameras installed get in touch today by calling 0800 211 8310 or completing our contact form. Quick response to emails. Questions answered clearly and the installation date within 10 days. The installation was fast and efficient and involved me in the decision making process. System easy to use.